Alhamdullilah, as Muslims we have been given the best etiquettes for relieving ourselves. 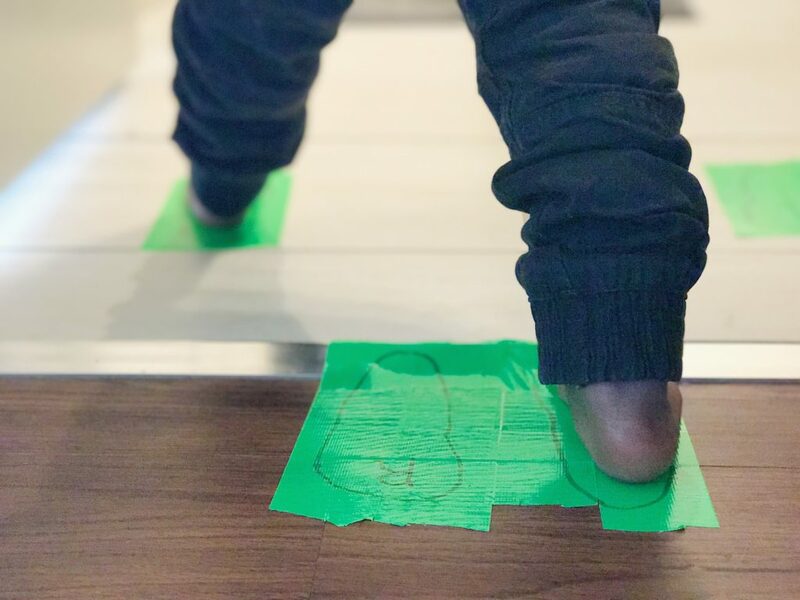 Because Islamic bathroom manners are so much more than just cleaning after yourself, teaching our children proper Islamic toileting etiquettes requires quite a few steps. Kids from a young age (3+) can be taught these etiquettes starting with how to clean themselves properly to reading the correct dua for entering and existing the bathroom. The dua consists of two parts, one for entering the bathroom and the other for leaving it. Because the first part is longer, it can be harder for kids to memorize it. You can re-enact it for older kids but for younger ones who may (conveniently) follow you to the bathroom, you can just say the dua in real time lol. Most kids can memorize it just by hearing you reciting it repeatedly. When putting the Dua on the bathroom door remember that when the door is opened (inwards) the poster with Allah’s name is technically inside the bathroom. For this reason, I personally avoid hanging the poster directly on the door but instead hang it (the dua for entering) on the left side of the door. Kids can find it hard to wash themselves after relieving themselves and if the toilet paper is far and their tiny arms can’t reach it, things can get a little messy. Since I want my daughter to be independent, one of the things I do is leave a ‘wet’ cloth by the sink or bath that she can reach. The trick is to leave another container for dirty towels or cloths that can be thrown in the washer later. I used to buy wipes at Costco just for the free wipe cases that came with the huggies package, which work perfect for storing homemade cloth wipes. Water (boiled or distilled) is the main part of the solution; it can be used by itself or to dilute the other ingredients so they aren’t too harsh. Oil (like coconut)helps the skin stay soft and helps the wipe slide gently across the skin. Soap (small amount) is used to cleanse the skin. Essential Oils are an optional way of adding antibacterial, healing, and aromatherapy properties. Which foot goes in first? It’s easier to teach a child who knows left from right which foot you enter or leave the bathroom with. One trick I have found to work for younger kids is by providing them with a visual with foot outlines drawn on contact paper. It doesn’t last long but works for a couple days. Since moving however I did not have contact paper but found some tape instead. I drew the kids feet with permanent market and since they know their alphabet I even added an L and R. This works like a charm and gets them thinking until they are able to enter the toilet without the reminder. Okay this one is more for the adults of the house then the kids. I don’t remember the last time I used the bathroom peacefully without the kids rushing in to ask for something or just open the door and stare at me. Teaching them that they should take their privacy seriously while in the toilet is the first step to letting them know that mommy/daddy needs privacy too, while using the restroom. Washing hands is the best way to stop germs from spreading but try telling that to a toddler that just wants to finish their favorite cartoon! Of course, it doesn’t help that they can’t reach the tap by themselves. So if you struggle to get your kids to wash their hands after using the restroom, try buying a stool like this one at Ikea or Faucet Extender like the Prince Lion heart. 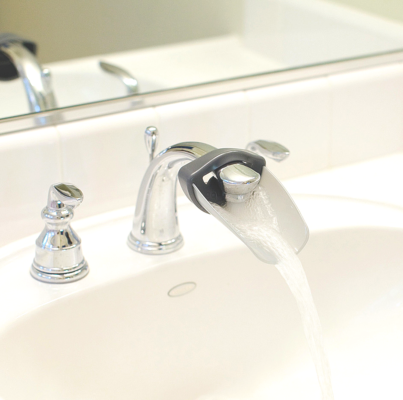 The only downside is that it may be harder for you to get them off the sink to stop playing with water :(. Do you have any other tips that you have used with your kids when teaching them Islamic toilet manners? That is such a wonderful idea, the istinja bottles. I will be making one for when we are out and about inshaa allah. 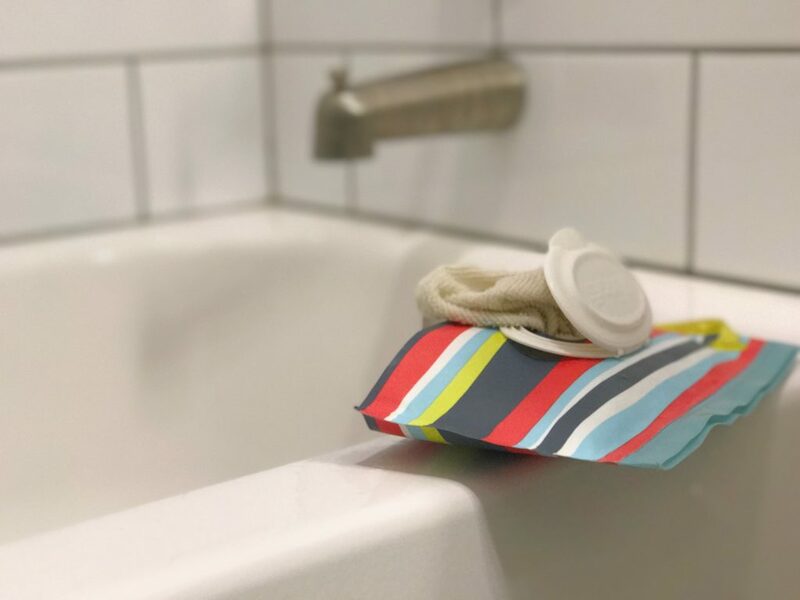 You are right, the wipes are a toilet paper alternative since for us it’s hard to get to for the kids. I have found a way to make it without soap. I will update it insha allah.